When the biggest loss you've had to deal with came while you were rowing with royalty in your home province, life can't be too bad at all. 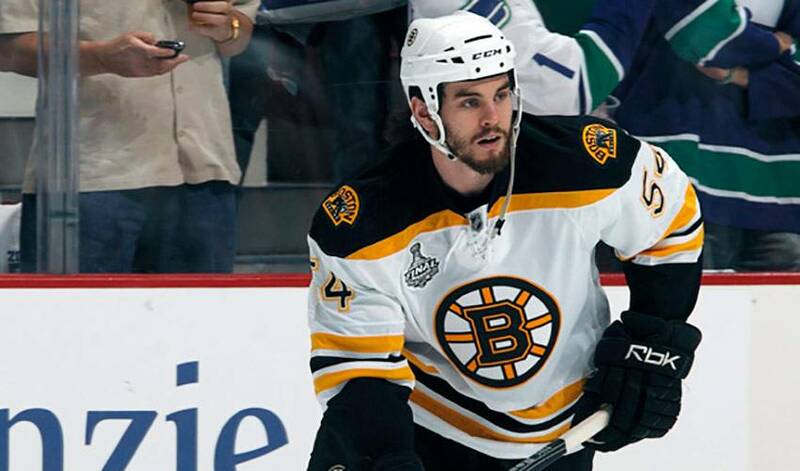 It was an opportunity Adam McQuaid couldn't and wouldn't refuse. Shortly after the Prince Edward Island native and his Boston teammates hoisted the Stanley Cup, McQuaid was offered the chance to take part in a charity rowing race, one headlined by Prince William, Duke of Cambridge and Catherine, Duchess of Cambridge. As for the event itself, one that took place on Dalvay Lake on July 4, in Charlottetown, P.E.I., McQuaid, who was on the dragon boat team of the Duchess of Cambridge, didn't sail away with bragging rights. Not that he's lost any sleep over the loss. And McQuaid, who played four seasons with the Sudbury Wolves of the Ontario Hockey League (OHL), isn't likely to forget the thrill of winning hockey's ultimate prize in the foreseeable future. The strapping, 6'5”, 210-pound defenceman, who had 31 points in his final OHL campaign, certainly made an impact throughout the post-season, utilizing his size and strength to keep the opposition at bay, dishing out hard hits and clearing the front of the Bruins' net. So much of an impact in fact, that he accepted a 3-year contract extension with the Bruins. Despite a few bumps and bruises along the way, McQuaid, who was selected in the second round (43rd overall) in the 2003 OHL Priority Selection, was proud of the effort he and his teammates put forth. “It was a tough, long haul to get there, but we worked hard to earn it,” said McQuaid, who scored his first NHL goal on February 7, 2010, a game-winner against the Montreal Canadiens at the Bell Centre. McQuaid, just like his teammate Brad Marchand, admitted it wasn't until days after when the enormity and reality of the victory truly hit home. “Throughout the playoffs, you are so focused on the process, each game and each moment, that it's almost impossible to step outside of that mode,” offered the 24-year-old, who along with his teammates, were feted by Major League Baseball's Boston Red Sox at their home in Fenway Park. “And when you finally win, it takes some time for it all to register. That list would also include McQuaid's family, who were on-hand for Game Seven in Vancouver when Boston won 4-0 to win the Cup. McQuaid, who contributed three assists in the 2010-11 playoffs, won't have to worry about losing that winning feeling any time soon. Boston fans can rest easy. McQuaid won't be trading in his hockey stick for a paddle any time soon. Which is why McQuaid still feels like a winner, even if he doesn't win them all.